Remove the right and left front floor console extensions. Refer to Front Floor Console Extension Replacement - Right Side and Front Floor Console Extension Replacement - Left Side. Remove the front floor console cover assembly. Refer to Front Floor Console Cover Replacement. 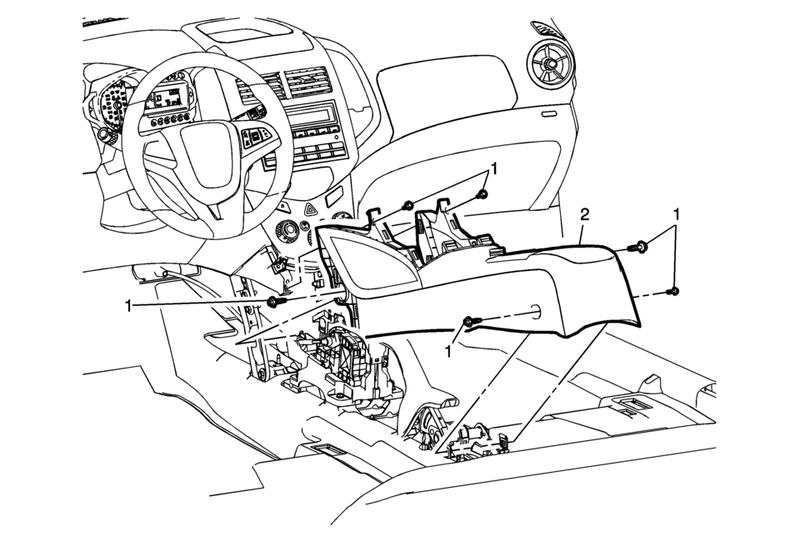 Move the front seats to the full forward position to access the front floor console rear fasteners. When replacing the console, transfer all necessary components.